It’s a tough job, but, someone’s gotta do it. WindsorEats was fortunate enough to host Hanna Raskin, the food editor and critic for the Post & Courier which is Charleston, South Carolina’s oldest and largest newspaper. After catching wind online about the awesomeness that is the Windsor pizza scene, she reached out to WindsorEats for suggestions. In true WindsorEats style, we offered something better: her own private pizza tour with our very own sister-brother duo, Pina and Adriano. While we could have visited many more great pizza joints in the city, we visited five that we were confident would make us all proud. First stop was Marco’s Pizzeria. Before opening his own pizza parlour earlier this year, owner Marco Malizia finished fourth in his category at the World Pizza Championships in Las Vegas with Armando’s. 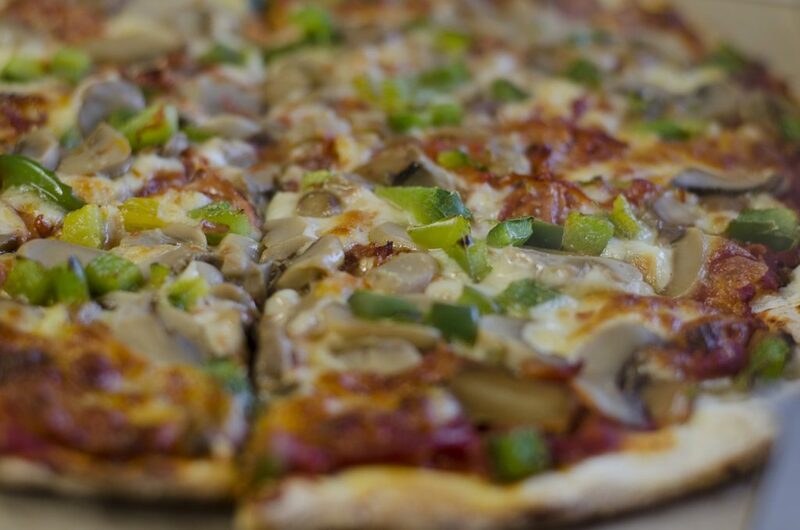 Our toppings included green peppers, pepperoni, canned mushrooms and cheese. Speaking of Armando’s, the location on Walker Rd. was our second stop on the tour. 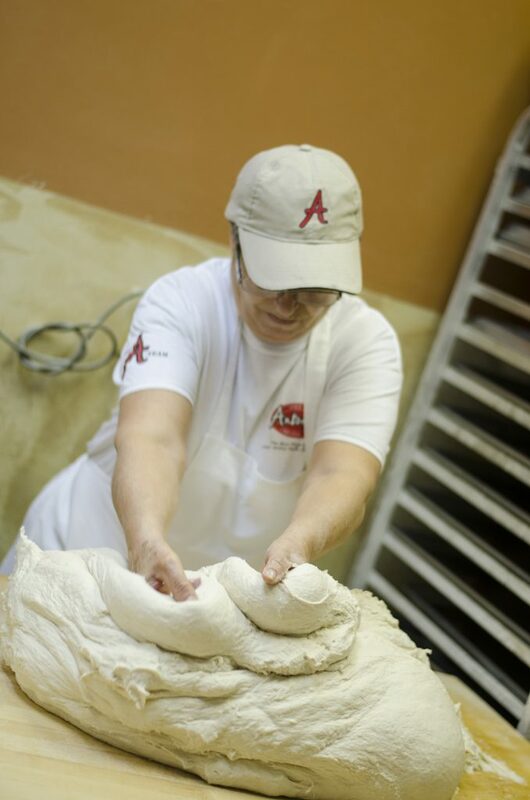 Our toppings were the same we had at Marco’s Pizzeria. Armando’s finished third in their category at the above mentioned Pizza Championships. Our third stop of the day was soon to be WindsorEats member, Antonino’s Original Pizza on Howard. Owner Joe Ceravino brought us on a tour of the kitchen and let us watch up close as our pizza was assembled. 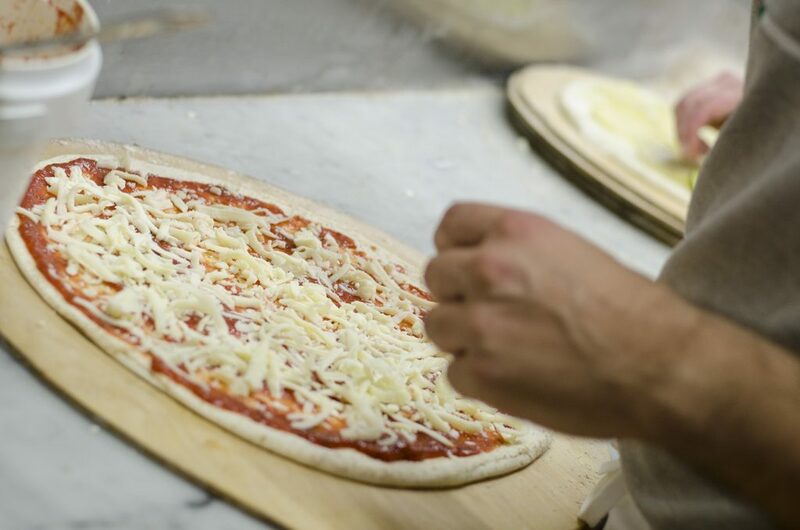 He also provided us with his family history and how pizza played such a big part in it. 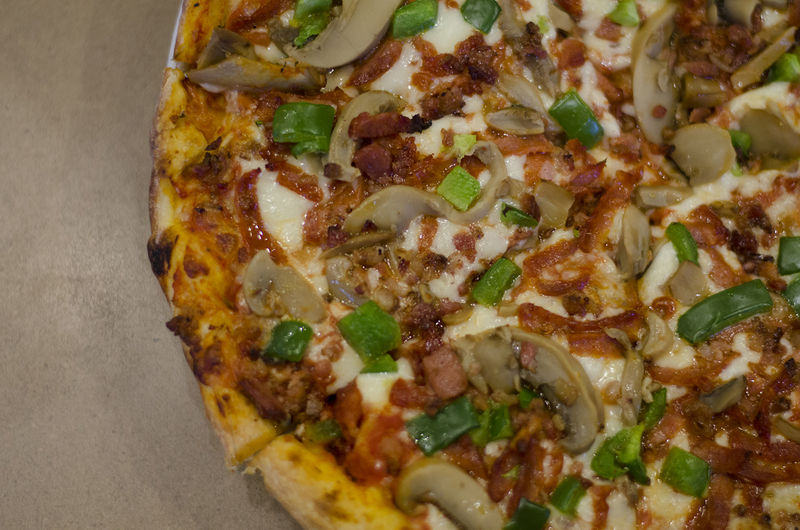 Our toppings included green peppers, bacon, pepperoni, cheese and onions. A slice? Don’t mind if I do! 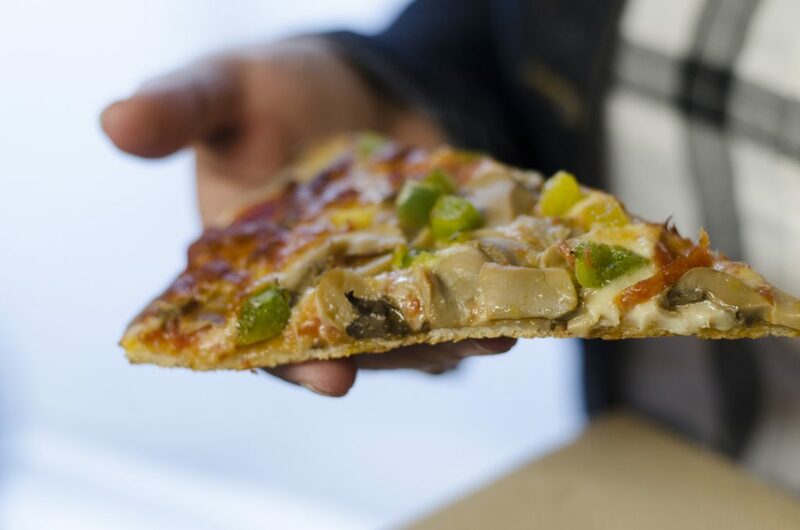 After Antonino’s, we shot down the road to Arcata Pizzeria on Dougall Avenue and spoke with owner, Bob, about his decades of owning the popular pizza joint. We then enjoyed a pizza with cheese, green peppers, pepperoni and canned mushrooms. 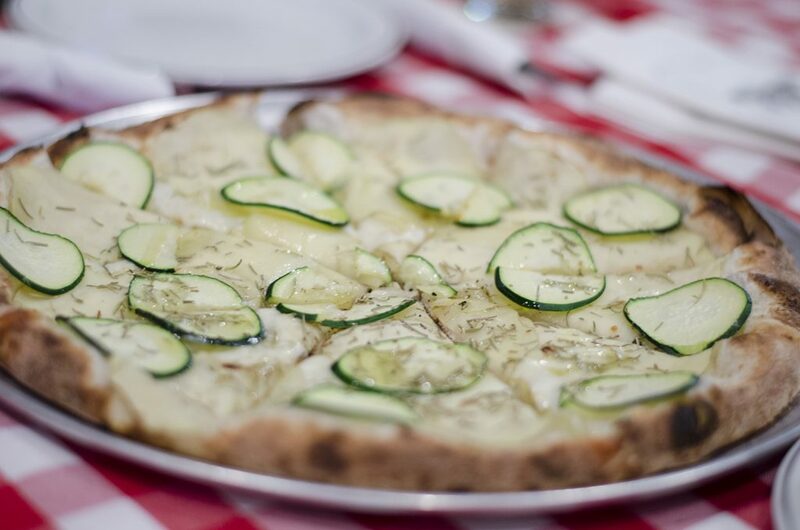 Zucchini and potatoes on a pizza? Oh yes. Oh yes. Finally, we finished at Remo’s located inside the Caboto Club of Windsor and mentioned in a recent article we wrote for Daily Detroit on 5 must-try restaurants in Windsor. While not made in a traditional Windsor style, we felt is was a must on the itinerary. We enjoyed two pizzas at this stop: the Marchigiana with Italian sausage, onions and sweet red peppers and the Abruzzese with zucchini, thin potato slices and rosemary. We can’t wait to see the article and will be sure to share it with you all when it’s written. 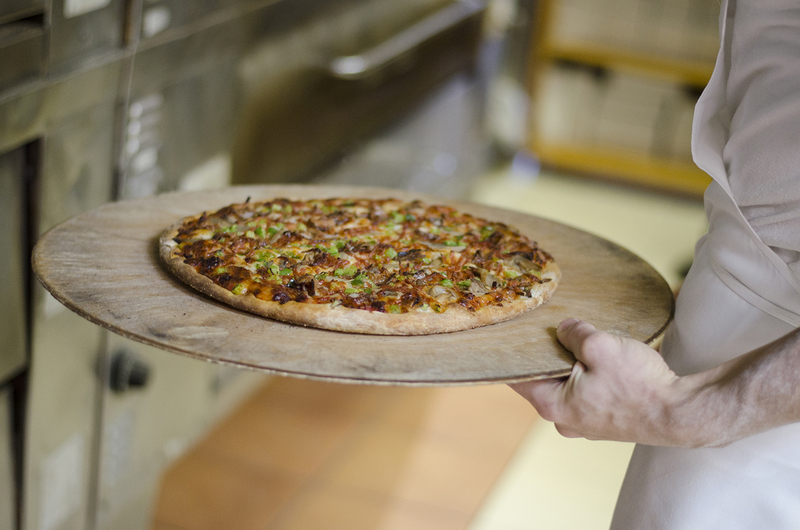 What do you think makes a Windsor-style pizza so great? 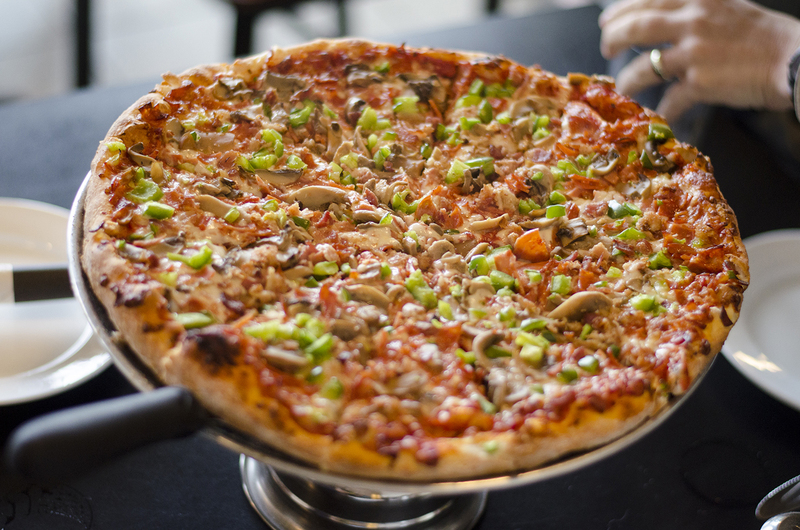 Have you tried any of these 5 pizza places? We’d love to hear what you have to say!